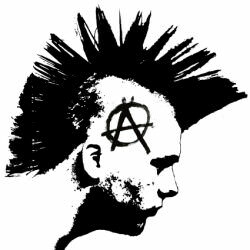 I don’t know how many people besides me here currently dress in the punk style, but for those that do I think this would be a good place to share places for patches etc. StaticDiplomacy Currently this shop is on vacation but the owner is very nice and there are some nice Libertarian patches. Including a Ron Paul 2012 patch and Ron Paul’s face both of which I find pretty funny.